Annual Reports for 2013 - What has MoBikeFed done for YOU lately? Thanks to your membership and support, 2013 has been one of the most productive years ever for the Missouri Bicycle & Pedestrian Federation and for the Missouri Foundation for Bicycling and Walking. Highlights from those reports are below. The support of members like you is bringing real change to Missouri--and helping our Vision of Bicycling and Walking in Missouri become a reality. 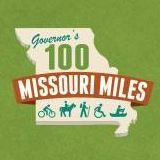 MoDOT and the General Assembly adopt a “Total Transportation” approach to Missouri transportation funding, for the first time ever including bicycling and walking on equal footing with all other transportation modes. MoDOT introduces its first-ever Long Range Transportation Plan that fully integrates bicycling, walking, and trails. Stopped another proposed bicycle ban. National & statewide bicycle touring routes make significant progress; TransAmerica Trail (US Bicycle Route 76) officially signed, marked, and printed as part of Missouri's bicycle map. Complete Streets policies continue to move forward across Missouri. 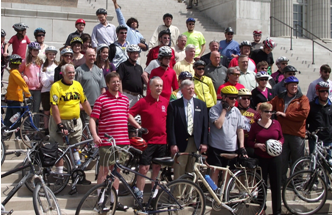 No fewer than 34 legislative successes for biking and walking in Jefferson City total since 1995. Summarized bicycle and pedestrian needs at local, regional, and state levels into a series of campaigns and easy-to-understand checklists; already we are seeing items from those campaigns beginning to be adopted. The Bicycle Friendly Communities, Universities, and Businesses programs now has no fewer than 30 enrolled in Missouri. MoBikeFed membership has doubled since 2008, reaching an ambitious goal we set then. Helped guide MoDOT policy and decision making on bicycle and pedestrian issues as the agency rolled out is first-ever long-range plan to fully embrace bicycling and walking as transportation options on par with public transit, railroads, ports, roads, and bridges. Helped guide policy, procedures, and priorities for a proposed $8 billion in new Missouri transportation spending over the next 10 years. Supported the effort to create the first-ever Missouri Trails Census and Statewide Trails Plan. 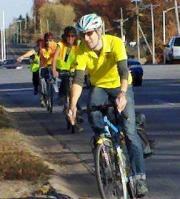 Provided expertise and technical assistance for other bicycle & pedestrian organizations and groups across Missouri. Provided assistance to groups, agencies, and officials across the state with bicycle and pedestrian-related planning and policy making. 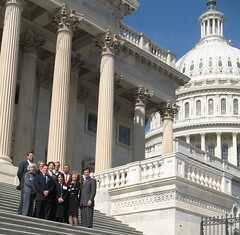 See the complete Foundation Annual Report for details.